I’ve just come back from a wonderful week in Majorca and it have been commissioned to write about my essential summer wardrobe pieces via lovethesales. I tend to pack light when I travel because wardrobe space is usually limited in hotel rooms and when I am abroad I tend to spend most of the day in a bikini anyway. I like to pack items that coordinate with each other and are easily mixed and matched. When you are on holiday you don’t tend to wear things for more than a couple of hours at a time in the evening so I usually wear shorts etc more than once. I have also been known to buy washing powder on holiday & hand wash each item daily; it takes away the dreaded fear of doing a huge pile of washing when you return home and gives you some fresh pieces you can wear again. It is always so much easier to dry clothes when you are on holiday especially if you have a balcony or terrace to hang them out on. Essential summer wardrobe items for me are always based around fabric. I am really fussy and I will only wear cotton, linen or denim. Denim is too heavy for holidays so that limits me to cotton and linen. I don’t like the feel of man-made fibres against my skin as they tend to be quite rough and I find they make you really sweaty particularly polyester. The best materials for keeping cool are linen and cotton. They can be teamed with a casual T Shirt for the day creating a relaxed look or paired with a dressier top for the evening. They are easy to pair with shorts during the day and really comfortable. They can look really pretty with a plain T-shirt in the day or dressed up for the evening. A dress is an excellent choice for holiday, particularly if it is quite quite loose fitting. It can be dressed up and worn in the evening and then worn again by the pool the next day. I always take lots of bikinis when I go away because I spend most of my time in them. A well fitting bikini is well worth the investment. They go with everything & come in so many different colours and styles. They are really comfortable, easy to clean and they really do stand the test of time; my oldest pair are about 10 years old now and still going strong. 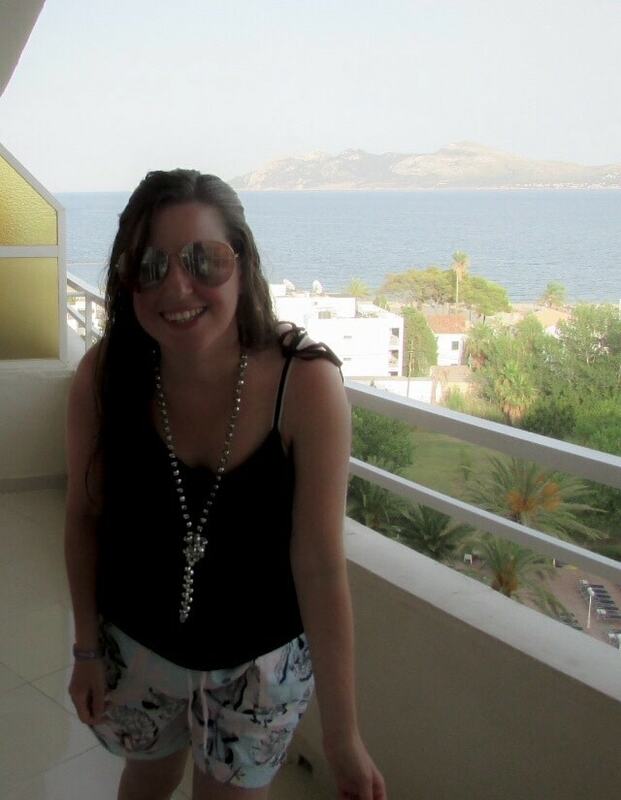 I tend to just take one piece of jewellery on holiday; usually a simple bead necklace that goes with everything. A hat can look really really stylish on holiday but more importantly it can protect your face from the harmful effects of the sun. Along with the bikini & flip Flops these are something I wear all day. I really love the aviator style. I would love a pair of these Ray-Ban Aviator Sunglasses one day! I love cotton Kaftans and some of then can easily transition from daywear to evening wear.